The American Astronomical Society is a nonprofit professional society for astronomers that is somewhat unusual in owning and having complete editorial control over its own journals. The AAS prides itself on the fact that these journals — The Astronomical Journal, The Astrophysical Journal, The Astrophysical Journal Letters, and The Astrophysical Journal Supplement Series — are run by scientists, for scientists. But in the age of the internet, when anything can be posted online and viewed around the world, what is the value and role of a scientific journal? We recently sent out a survey asking authors for feedback on the AAS journals. We’re carefully studying the thousands of responses we received with an eye to improving the journal offerings — but in the meantime, we thought this would be a good opportunity to clarify the AAS journals business model. History of annual institutional subscription rates for AJ and the ApJ family (ApJ, ApJS, and ApJL). The 2017 institutional subscription rate for Monthly Notices of the Royal Astronomical Society, an example of a journal that does not charge author fees, is shown for comparison (source). Bottom: History of author fees per page published in AJ, ApJ, and ApJS. Realistically speaking, it’s not possible to publish a journal without money. As the AAS is not a commercial publisher, it has no source of external funding for its journals. Money within the AAS is generally divided into separate pools: dues and meeting fees are fed back into the Society, whereas the journal operating costs and development are supported by journal revenue. As a result, there are only two potential revenue streams that the AAS journals can use to meet operating costs: author fees and subscription fees. To completely eliminate author fees (free to publish), the entire operating cost must be shouldered by subscribing institutes — which can be a significant hardship, particularly for smaller institutes whose libraries may not have a large budget. Because the AAS is committed to providing broad access to our authors’ work, dramatically increasing subscription fees to eliminate author fees is not currently an option. Instead, the AAS has had a combination revenue stream for decades, meeting part of the journal operating costs via author fees and the other part through subscription fees. With such a model, the Society is able to adapt to fluctuating economic times both nationally and internationally, adjusting its fee scale as the scientific funding landscape changes. What does this mean in the age of open-access journals and preprint servers? Again, it comes down to a choice: for a journal to be fully open-access, its revenue can’t come from subscription fees. With no subscription fees, nor author fees, nor external funding (even the arXiv needs nearly $2 million of external funding annually to run! ), the journal cannot exist — so a compromise is necessary. All articles published in AAS journals are made freely available twelve months after publication. For authors who would like to make their work publicly available immediately upon publication, the AAS journals offer authors the option of Gold Open Access: for a fee (set at a level that offsets the lost subscription revenue), an article can be published under a CC-BY license and will be available for any reader to download or read for free immediately. Under the AAS journal copyright, authors who publish in AAS journals may also post their preprint to the astronomy preprint server arXiv, to another repository, or even to their own personal website, thus ensuring that a version is immediately available to the public for free. With this model, the AAS hopes to both support broad access to scientific research while still generating enough revenue to meet journal operating costs. An example of an interactive figure within an ApJ manuscript. Visit the article, “Evolution of a Pulsar Wind Nebula within a Composite Supernova Remnant” by Kolb et al. 2017, to experience the interactivity yourself. So why bother having an official journal if everyone can post for free on the arXiv instead? As scientists ourselves, we at the AAS journals don’t see our role as simply republishing our authors’ work with better typesetting. Instead, we feel that the critical mission of the AAS journals is to increase the scientific integrity of the field. To us, achieving this means not only providing the obvious services — such as acting as gatekeepers for pseudoscience, facilitating peer review for manuscripts, and providing long-term preservation of articles and data — but also the less obvious services that improve the quality and reach of manuscripts published with us. As astronomy is driven more and more by big data and statistics, ensuring that these aspects are correctly handled in manuscripts will systematically improve the quality of research published in the field. For this reason, the AAS journals employ two full-time data editors, Drs. Greg Schwarz and Gus Muench, who review submitted manuscripts and edit the data, figures, and software citations for those articles that contain significant tabular or other data material. Our data editors provide many forms of author support, including developing and supporting AASTeX and documenting best practices for using online repositories and data linking. They also set up and maintain new initiatives for the journals, such as interactive and animated figures, and they work with in collaboration with community archives and science platforms to improve data linking. The homepage of AAS Nova, a website through which summaries of recent AAS journal articles are shared with the community. Additionally, the AAS journals have a dedicated statistics editor: astrostatistician Dr. Eric Feigelson, professor at Pennsylvania State University. The statistics editor reviews all AAS journal manuscripts that include a significant statistical component, offering authors recommendations on how to strengthen the statistics of their studies in accordance with current best practices in the field. 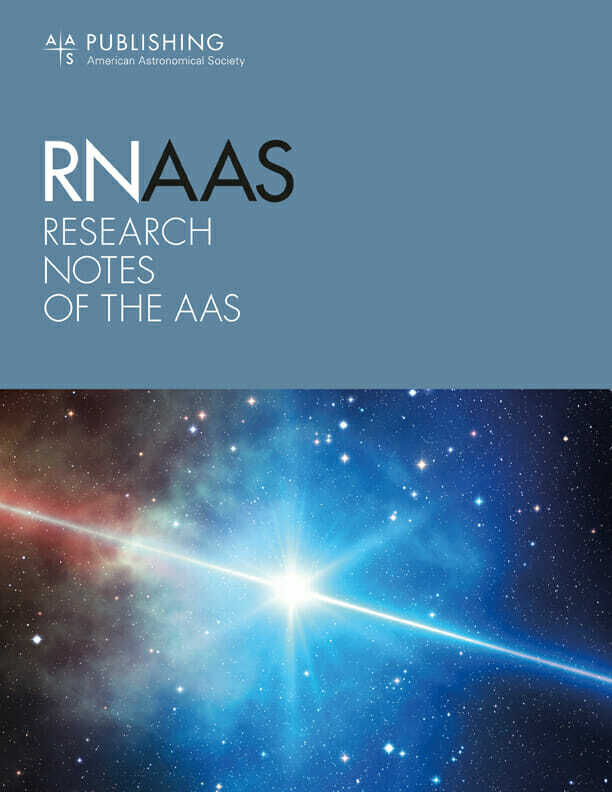 In the interest of broadening the reach of articles published in our journals, the Society developed AAS Nova, a website designed to help disseminate our authors’ work to the larger astronomical community and the broader public. AAS Nova editor Dr. Susanna Kohler produces and edits summaries of research articles that appear on AAS Nova, ensuring that this work is shared with other astronomy researchers, science journalists, and the general public. AAS journals are produced by the astronomy community, for the astronomy community — which sets us apart from commercially published journals. We pride ourselves on our work with and support for existing community structures (like databases, repositories, and archives). The development and operations within AAS publishing are all pursued under the oversight of a Publications Committee, which is comprised of astronomers seeking to advance the broader community goals. The intent of the AAS journals has always been to add value to the astronomy community, and to improve the quality and reach of the research work produced by astronomers. That said, we also acknowledge that there’s always something we can improve — and the fact of the matter is, we’re your journals. Please don’t hesitate to let us know if there’s something we can do to better serve your needs. Our team of more than 30 journal editors — astronomers across a broad range of subfields — would love to chat with you at future scientific meetings. By listening to you, we hope that we can continue to evolve and to play a meaningful part in today’s academic publishing landscape.